Thank you VERY much for writing this app for SailFishOS! Hi thank You for Your work but I have returning problem, I dont use root privileges on file.browser very often but when I need to do it there is no icon and I have to first uninstall patch of yours (witch didnt work on sfos3) and install this again. This is getting very frustrating as it happened to me 3rd time today and now Im sure that I didn't gone mad and I had installed this on current device. Please fix this, how this is even possible? Thank You for Your hard work and time, best regards. What device you use ? I don't have any problem with patch version or this app. Just now checked it on Tablet (SFOS3 + PM2) and Jolla1 (SFOS3 + PM3). On the both devices it instaled 3-4 weeks ago and icons still there and it work like it should. Icon disappear only if patch unapplied. If you install patch of this app, it automatically uninstall this app. Before installing it, unapply and uninstall patch of this app. Try it and report. i didnt installed by my will Your Patch even once but over the time it gets automatically switched and then I unapply Your patch and uninstall it (I cant install this without uninstalling patch version) then Im installing this once more and use it for some kind of Stuff. Next time I want to use it, lets say next day or two and puff its gone. I didn't even know that patch installed itself automatically and I was surprised that I had problem reinstalling this. Wandering through Patchmanager I spot that patch is installed. To be honest I've tried patch if its working (I still prefer this version tho) and it wasn't. Patch was applied but no root privileges were present. Hope I described it well. Thanks again for investigating this problem. Thanks for your instant answer, now i see that the app i had installed was outdated, but how can it be that it converts to a patch and installs patchmanager by itself? 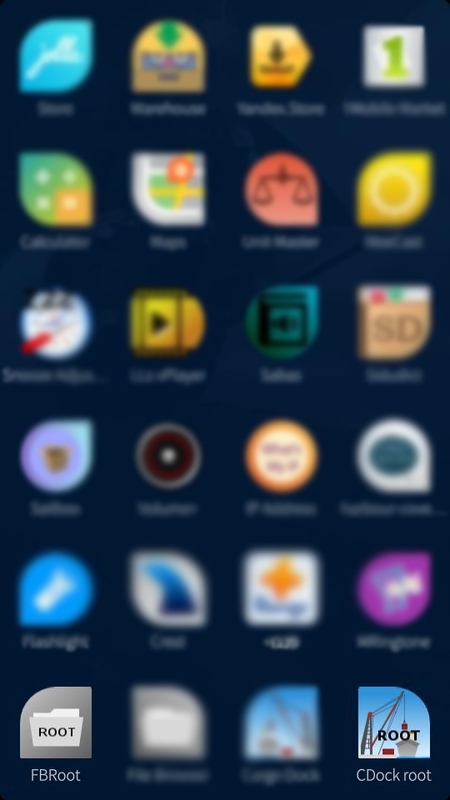 My app shouldn't do this. The second one (patch) have dependency to patchmanager and you don't have it, you can't install it. Strange Behaviour after update to SFOS3: I had the StartASRoot for Filebrowser APP installed, after the Update, it says, i had the PATCH installed. I didn't even have Patchmanager installed before the Update, seems like the APP converted to the PATCH and installed Patchmanager somehow. This app is old one and it not patch. The red Nemo/Root indicator in cover no longer shows up with latest release of Filebrowser. On my Xperia (filebrowser just upgraded from Harbour), the "ROOT mode" warning is not displayed. Ohhh, now I understand what you mean... From you screenshot you use patch: https://openrepos.net/content/schturman/patch-startasroot-file-browser and not this standalone app. Oops, you are right, it's your patch. It doesn't show the 'ROOT mode' warning anymore after recent Filebrowser upgrade. Hmmm.. ok... but why you need install sudo for setting pass for root ? You can't do it with devel-su and sett pass for root ? Weird , but ok, I will add it to description for Xperia users. Hmmm... You need ask it the creator of File browser app (Jolla)... I just gave a possibility to start this app as root. This don't work on SFOS 2.1.1.23. No root access. I already packaged the patches for 3 file managers (FileTug, FileCase and File Browser), I will upload them soon. The separates apps, I will repackage later today and upload them too. Thanks a lot. Great job! If app starts as nemo instead as root, try this workaround. For some mysterious reasons the phone sometimes remove "dconf" folder, and you need to recreate it. Do it as root = or as "su" or as "devel-su", try both variations.